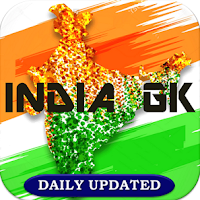 5, 6 February 2019 Current Affairs MCQs, Quiz, Questions: Current Affairs for February 2019, Daily Multiple Choice Questions (MCQs) for India GK, World GK and current affairs with Collection of daily objective type Question by www.Indiagk.net based on General Knowledge (GK) and General Science (GS) Questions for UPSC, State PSC, SSC, Police exam, Railway exam, SBI, Bank PO, IBPC, SSC, LDC, UDC, Army, Airforce, Navy, Coast Guard, Bank Clerk, TET and all entrance examination with current affairs News, Multiple Choice Questions (MCQs) available on Website www.IndiaGK.net and Android Apps with daily updates:. Which among the following is India’s 40th communication satellite that was launched on February 5 from French Guiana? 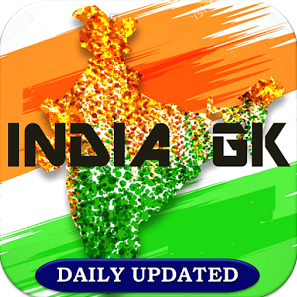 Explanation: Indian Space Research Organisation’s latest communication satellite, GSAT-31 was successfully launched by Arianespace aboard its launch vehicle Ariane 5 from the spaceport in French Guiana on February 5, 2019. GSAT-31 is India's 40th communication satellite and it will provide continuity to operational services on some of the in-orbit satellites. GSAT-31 derives its heritage from ISRO’s earlier INSAT/GSAT satellite series and will provide continuity to operational services on some of the in-orbit satellites. GSAT-31 will provide DTH Television Services, connectivity to VSATs for ATM, Stock-exchange, Digital Satellite News Gathering (DSNG) and e-governance applications. Which team wins Ranji Trophy 2019? Explanation: The defending champions Vidarbha won the 85th Ranji Trophy title. The defending champions defeated Saurashtra by 78 runs in the final. Aditya Sarwate of was Vidarbha was declared man of the match for his 11 wickets in the match and 49 runs in Vidarbha’s second innings which helped Vidarbha clinching the title for the second time. Ranji Trophy is the Indian domestic first-class cricket championship between teams representing regional and state cricket associations. Mumbai(Bombay) have won the tournament the most number of times with 41 wins. Vidarbha became the sixth team to successfully defend their title. The other sides to win the consecutive titles are Bombay/Mumbai, Maharashtra, Delhi, Rajasthan and Karnataka. Donald Trump has nominated US treasury diplomat David Malpass to head which international body?